Apart from a few online lottery games allowed by the Coljuegos, online gambling is currently illegal in Colombia. Online gambling operators offering their services in Colombia may face a fine and be banned for 5 years. However, threats made by Rodrigo Vélez Jara, head of Coljuegos seem to have had little effect so far, as hundreds of online gambling operators are still available in the country. There are also no laws restricting locals from playing on foreign gambling sites. Casino gambling is legal in Colombia, and casino operators must obtain a licence from Coljuegos. There are several brick and mortar casinos in the country, most of which are situated in Medellin or in the capital, Bogota. 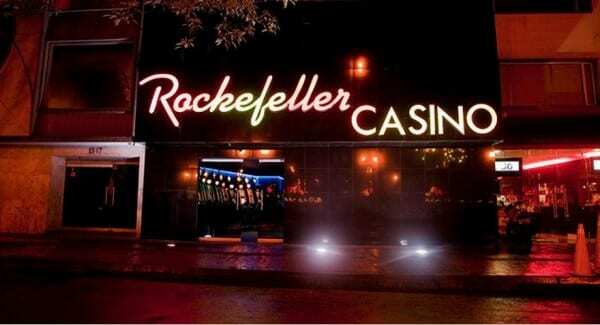 Casinos in Colombia offer slot machines and table casino games. Online casino gambling is illegal in Colombia, which means operators of online casino gambling sites may be prosecuted and their sites banned in Colombia for 5 years. However, while the Coljuegos has been shutting down dozens of illicit land-based operations, online gambling sites are largely left undisturbed. As a result, online casino gambling is a thriving market in Colombia, and several international casino sites offer gambling services to Colombian players. The gambling commission of Colombia, Coljuegos has been preparing a new regulatory framework for gambling. Though it is nowhere near being finished, its main aim is regulating and legalising online gambling. Traditional bingo is legal in Colombia, and may be played in licensed gambling establishment. Several of the country’s casinos have bingo rooms of various sizes, though there are likely no dedicated bingo halls in Colombia. Games of chance played purely as a hobby, in schools or within families and for non-profit reason are exempt from the law, which means charitable bingo games do not require a licence. Online bingo, on the other hand, is not legal, as the Coljuegos currently does not issue online gambling licences, and operating an online bingo site in Colombia without a licence would be punishable by a fine and a ban from the country. Poker is generally considered to be a game of skill, not a game of luck and, on top of that, players are competing with each other, not against an operator. In spite of this, legal poker games in Colombia are only available at the country’s licensed casinos. Also, Medellin is one of the stops of the Latin American Poker Tour, which is the largest live poker event in the country. Online poker is, in theory, illegal in Colombia, as no online poker licences have been issued so far, and operating unauthorized online poker sites is against the law. The new regulatory framework being prepared by the Coljuegos aims to remedy this situation. Until then, Colombians are free to play on international poker sites, many of which offer their services in the country despite the prohibition. *Source (Spanish): Por la cual se fija el régimen propio del monopolio rentístico de juegos de suerte y azar. Sports betting is legal in Colombia, and is currently operated exclusively by Intralot, since the company has won a tender and signed an agreement with the Colombian government. The most popular form of sports betting in the country is horse race betting. Intralot currently does not offer online sports betting in Colombia. As they have exclusive rights to the market, there are currently no legally operated online sports betting sites in the country. Players, however, are free to gamble on international sports betting sites. Lottery games are legal and quite popular in Colombia. The country does not have a single national lotto, but several locals ones. The locals’ favourite lottery game is Baloto, which is a 6/45 lottery draw. Tickets for Baloto are also available for buying online. Though there are some Coljuegos-sanctioned online lotteries, the selection is not exactly wide and the quality is not on a par with the bigger online lotteries. Those looking for more variety may participate in lottery draws on international sites; while operating such sites in Colombia is technically illegal, purchasing online lottery tickets from these websites is not prosecuted. Bitcoin itself is not regulated in Colombia, which means that neither is Bitcoin gambling, at least not specifically. Operating online gambling sites without a licence is prohibited, and no Bitcoin casinos have a Colombian licence, so they are likely considered illegal. However, no legal steps have been taken against them, and there are no laws against locals participating in Bitcoin gambling. The popularity of the virtual currency itself has been growing in Colombia, and in 2015 the first Bitcoin exchange opened in the country. There is no word on whether the upcoming gambling regulation will include Bitcoin gambling or not. The following online casinos and sportsbooks accept players from Colombia. Last updated: 2015. 10. 29. This guide focuses on gambling (especially casino gambling) and various forms of online gambling in Colombia.